A Christmas Shopping Visit to Clitheroe and a tour of Browsholme Hall which will be decorated for Christmas, followed by afternoon tea and a festive drink. Our first stop will be in the ancient market town of Clitheroe. The town boasts a ruined Castle with the smallest keep in England. Roundheads destroyed the castle in 1648. The town retains much of its ancient character and a winding main street climbs to the castle between rows of limestone buildings and white-fronted Georgian houses. Go to Castle Street, Moor Lane and York Street for coffee, Christmas shopping and perhaps a light lunch. At 1.30p.m. we will depart from Clitheroe for Browsholme Hall. On arrival at Browsholme Hall we will commence our exclusive tour at 2.00 pm. Browsholme Hall is the oldest surviving family home in Lancashire and one of the most spectacular family homes open to the public in the North of England. This wonderful Tudor Hall, with over 500 years of living history, is truly a hidden jewel in the crown of the County Palatine of Lancashire. The spirit of the festive season will be encapsulated by Christmas trees, garlands, holly and, of course, ivy, complemented by the warmth of candlelight and open fires. 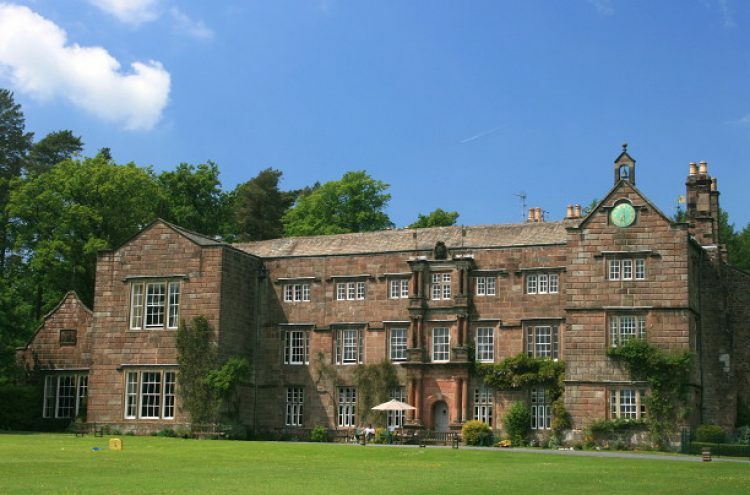 Browsholme Hall has a remarkable antiquarian collection of superb oak chests, Gillow furniture, portraits, porcelain, civil war arms and many unique relics. At the heart of Browsholme Hall is the Parker family and their ancestors, Bowbearers of the Forest of Bowland, who have celebrated Christmas here for over 500 years. Our guided tour of approximately one hour will captivate all who enjoy the rich heritage that this unique and ancient Lancastrian home has to offer. Following our tour of the Hall we will make our way to the historic Tithe Barn for our afternoon tea. In 2009, the 18th century Tithe Barn was beautifully restored and in this impressive venue we will enjoy an afternoon tea of sandwiches and savouries, mini homemade cakes of the day and a festive Christmas drink. Cost is £33 per person. The coach will pick up passengers at St Annes, Fairhaven, Lytham and Kirkham. A booking form can be downloaded here. Please fill it in and send it, together with your cheque and a SAE, to: Christine Cockburn, Visits Secretary, 14 Oakwood Avenue, Lytham St Annes, FY8 4PB by Wednesday, 2nd December 2015 at the latest.